We do not offer our tots classes or our open play-times during our summer programs. Both these programs will return in the fall. Welcome to summer at COGA. This is a great opportunity to give your daughter a chance to advance levels or become more proficient at their current level. 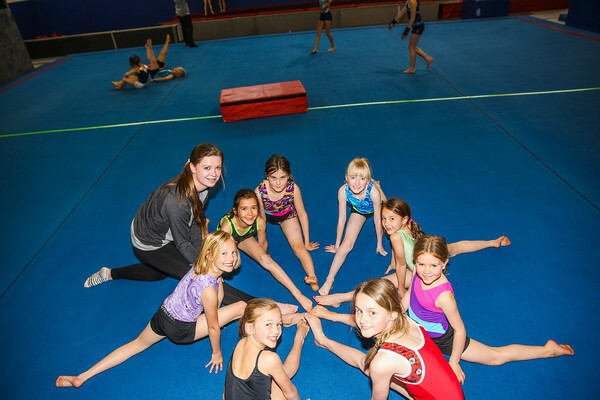 Each camp will run Tuesday through Thursday from 9-1 and include 2 1/2 hours of gymnastics instruction a day. We will focus on the skills students struggle on at each level to attain the next level. In our typical fashion we will be keeping a 6 to 1 ratio to ensure your child gets the most out of this camp. Our camp will also include fun games in the remaining hour and a half. We will offer a Beginning/Advanced Beginning camp, Intermediate camp, Advanced camp, and Pre-Team (R,W,B), camp each of the following weeks listed below. Don't forget about our check for charities program. When you pay for your camp with a check, cash or Venmo we donate 3% to charity. Click here to learn more. Please note that once you are registered for a camp the tuition is non-refundable. We recommend you are sure you can attend that week of camp, because there will be no refunds or credits issued if your child cannot attend.